From the skyscrapers of Liberty City to the hills and beaches of San Andreas, nothing gets your hungrier than a little Grand Theft Auto (or homicide, or possession, or grand larceny…). 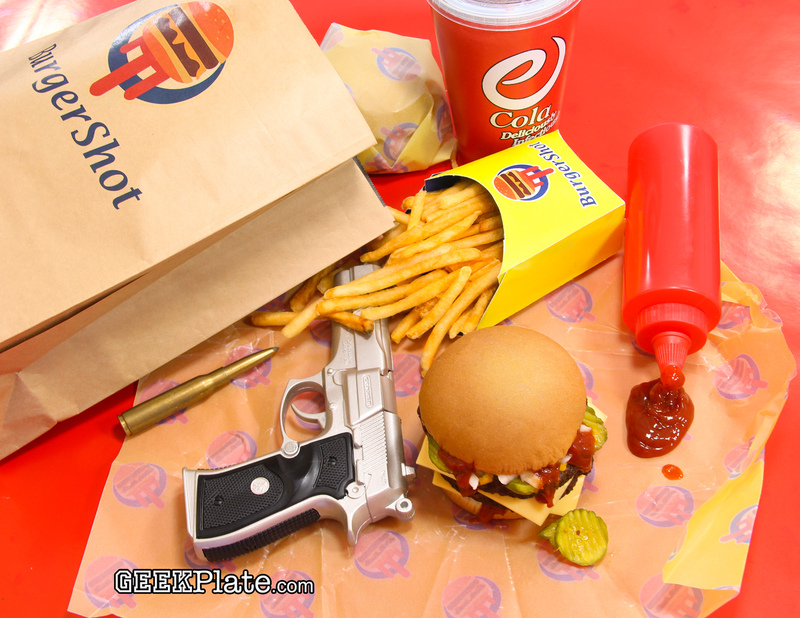 Feed your hunger with a Bleeder Burger from Burger Shot, washed down with a delicious eCola. It might not be the happiest meal, but it will refill your health-meter.